I am really impressed with the Temptu from Sephora. This innovation leaves a super awesome finish to your make up. You can choose to do the coverage as light or heavy as you need. 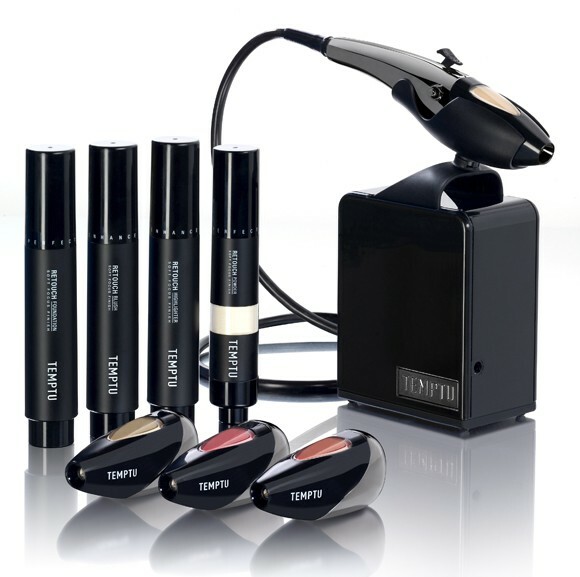 When you use the Temptu, do not be surprised by how many complements you will get. People were asking my mom if she got a face lift done because it looks so flawless and tightens your skin. Even men were stopping and asking what was different! This requires no knowledge to use this product. You point the wand a few inches from your face and pull down the lever, then spray in small circles. This allows sections of your face to dry partially or fully while you are working on another section on your face. The easiest way to test how heavy it will spray is to try it on a piece of paper or on your hand to see if the coverage suits your needs. Go try out the Temptu at your local Sephora today!